Just wanted to give you all a little ONE STOP page to go to for any of my favorite companies that are having BLACK FRIDAY and/or CYBER MONDAY deals, coupons, NEW RELEASES, etc. Many of these places you can use MY CODE or LINK for ADDITIONAL savings (such as Free Shipping, etc.) So make sure and use the code and use the HYPER LINKS in this post in order to make sure you are getting all the goods! Every sale has a different start and end date! So pay attention when on their websites! I've mentioned a million times that the reason I stand behind and use 1st Phorm (and later became an Athlete) is because of QUALITY! It's the only brand I can use and have ZERO STOMACH PROBLEMS!!! Why?!? Because they don't fill their products with a ton of crap and use a process called LOW TEMPERATURE PROCESSING!!! There are literally less than a handful of companies that do this because it costs more. But the result means you are not only getting what the label says you are getting ... you get a quality product that won't give you stomach discomfort/bloat/gas, etc! I have SO MANY staples and my "regime" changes based on if I'm in off season or on prep, etc. But a FEW things that I CAN NOT LIVE WITHOUT. 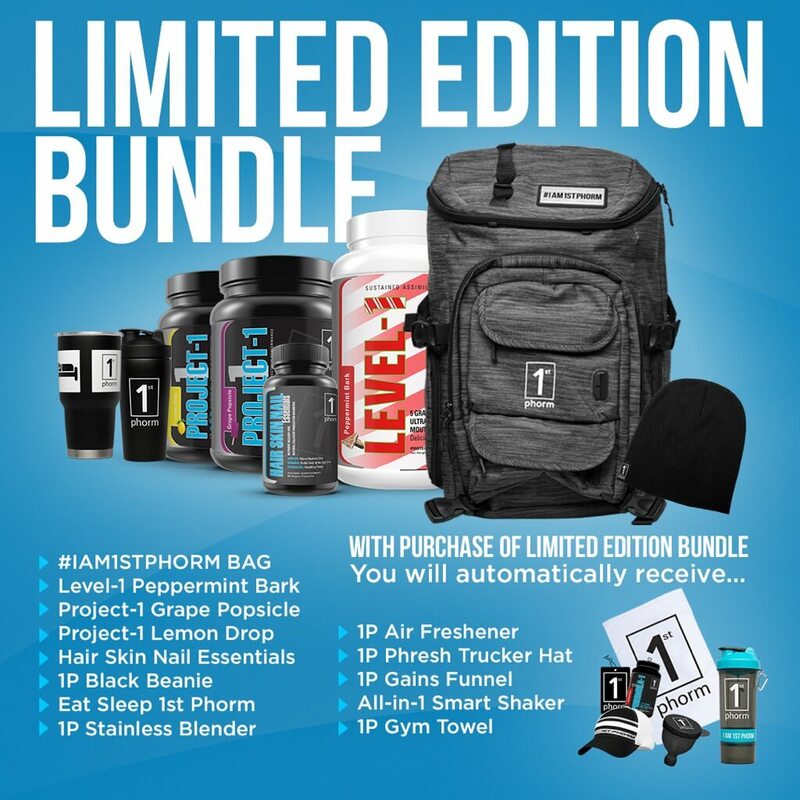 You can find them all on www.1stphorm.com/stacy .. just use the search bar! This link gets you FREE SHIPPING and 110% money back guarantee! Also any of the HYPER LINKS above should get you those deals as well. Just look for my name "Stacy" in the top right hand corer! LEVEL ONE - I use this in all my baking, protein ice cream, smoothie bowls, etc. MicroFactor - Every single vitamin, mineral, probiotic, greens, EFA, etc., that you need all in a single daily pouch! This makes life SO EASY! Glutamine - Not only good for recovery but AMAZING for GUT HEALTH!! Creatine - I either use this alone or use one of their PreWorkouts which already has Creatine in it. Pre Workout -- Any or ALL! It depends on what you are looking for in a pre-workout. FULL product discriptions are under each product! Adrenal Restore -- I do this TWO times a year. About to start it next week! If you feel like caffeine or pre workouts no longer "work" for you .. chances are you just need to give your adrenal glands a little reset. THIS is the product that will help with that! 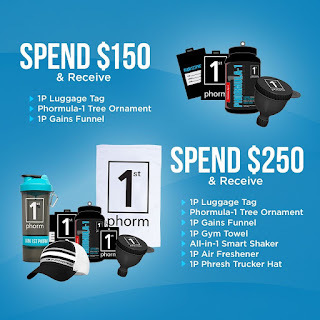 Phormula-1/Ignition - This is my FAST ACTING post workout carb and protein. Take the second you are done training and then have your normal post workout meal about an hour later! One of my FAVORITE companies is GIVING AWAY a product with purchase! 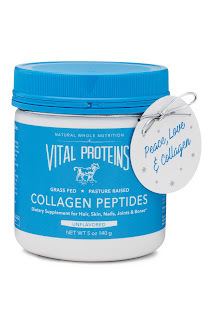 If you have always wanted to “Mix & Match” Vital Proteins collagen products like I do .... but didn’t really want to invest in more than one kind.. here is your chance!! All you have to do is purchase $75 worth of VP products and you get a FREE 5oz container of Collagen Peptides FOR FREE. Also, If you want to purchase additional 5 oz. canisters of Collagen Peptides, they will be available for $15 on our website, while supplies last! SO basically .. STOCK UP! I don’t blame you if you wanna keep the freebie for yourself .. but this would also be a great gift! These will take you straight to the 5oz Collagen Peptides that you get for FREE. Add this to your cart, pick your $75 worth of other products and then enter the code "PEACELOVECOLLAGEN” at check out!! 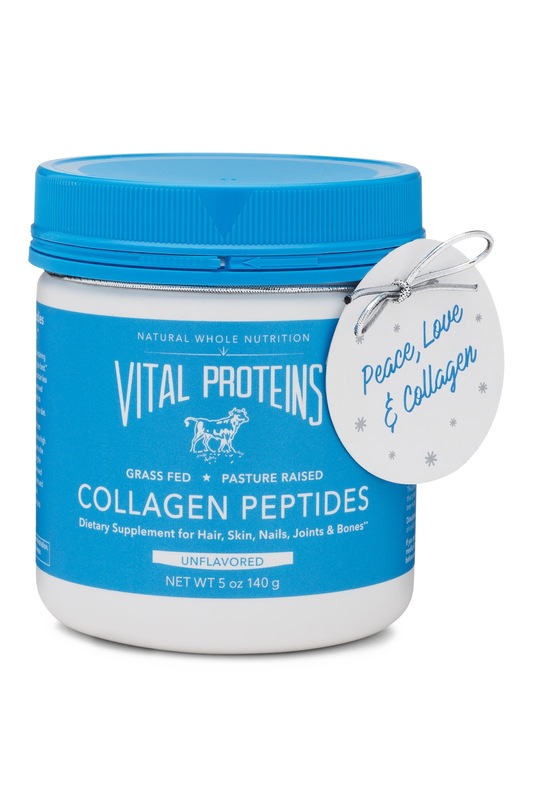 Confused on WHICH Vital Proteins Collagen products may be best for YOU?! Please check out THIS blog I did or EMAIL ME! I'll be checking emails all black friday weekend! I’ll help you decide. But you should aim to get in 20g of Collagen a day from whatever product you choose! *Apply code "PEACELOVECOLLAGEN" at checkout. Code will deduct price of ONE 5 oz. Collagen Peptides in your cart. *Add any additional Collagen Peptides for only $15 each while supplies last! Also I'm not sure if it will work with this promotion .. but it's worth a try!! You can use the code BODY17 for 25% off ANY day .. ANY time! MY FAVORITE APPAREL COMPANY just released the version two of their popular CARLA leggings! Of course they are called ... CARLA II :) I love these because they fit is PERFECT but also because of the CELL PHONE POCKET(s), the fact they are SQUAT APPROVED and just so dang comfy and flattering!!! They are having several deals ... free t-shirt with some purchases, up to 40% off some items and FREE SHIPPING .. but only if you use MY CODE (STACY) at checkout! www.foxyathletics.com --- If you have questions hit me up. But they do fit true to size! SALE goes LIVE 6pm eastern on Black Friday! Do NOT wait to order because sizes always sell out fast! !